What a great trip! We went to the Kentucky Derby, the Louisville Slugger Museum, Claiborne Farms, the Kentucky Horse Park, Cumberland Falls and Mammoth Cave National Park. 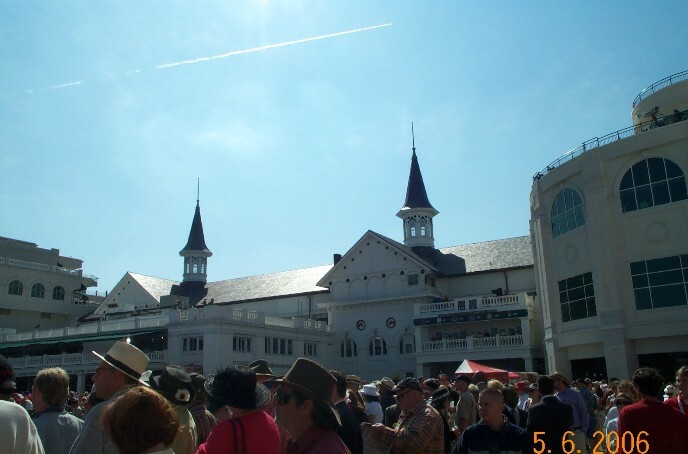 Here's the scene at around eleven in the morning at Churchill Downs. It was a crazy sea of humanity. 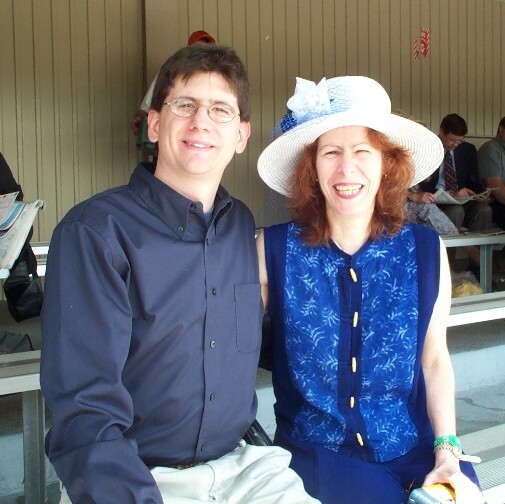 Here we are after the big race. It truly is the most exciting two minutes in sports. Even more so for Lynne who picked the winner! 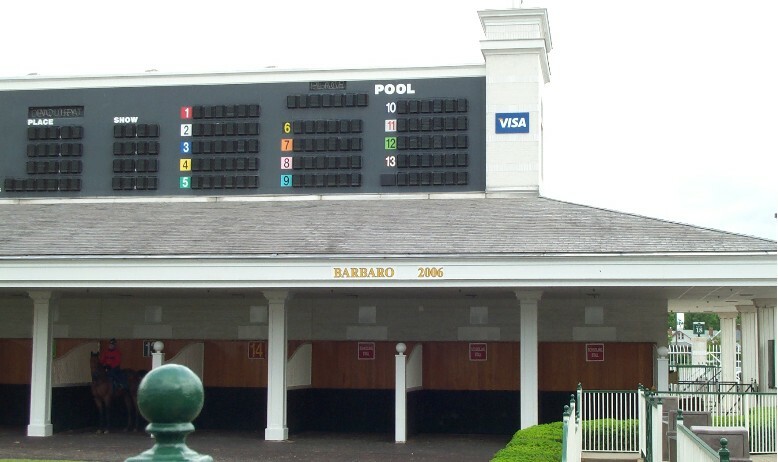 Here's Barbaro's sign. When we arrived at Chrurchill Downs Giacomo's name was listed. As soon as the race was over Barbaro's name was listed in gold. 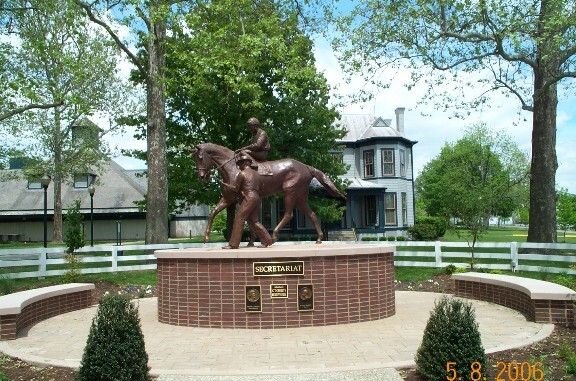 Here is one of the two Secretariat statues at the Kentucky Horse Park. Upon closer inspection I found the secret to his success. 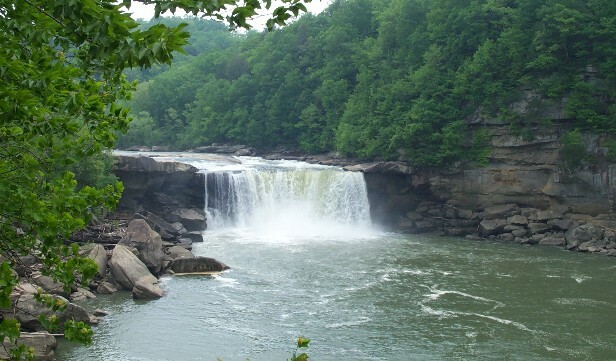 Here's a look at the Niagara of the South, Cumberland Falls. 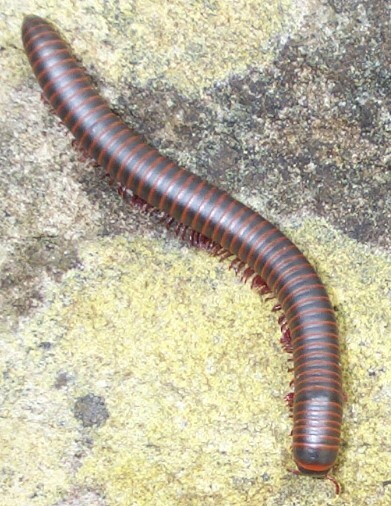 Here's a resident of Cumberland Falls. 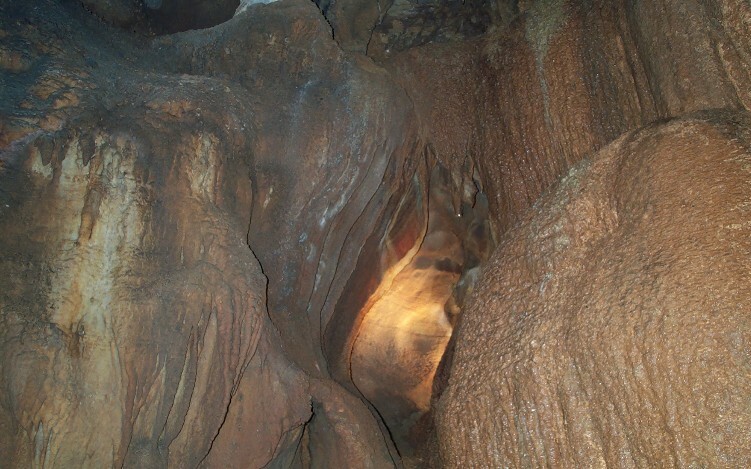 Here's a look at Faith, Hope and Charity in one of the great caves in Mammoth Cave National Park. 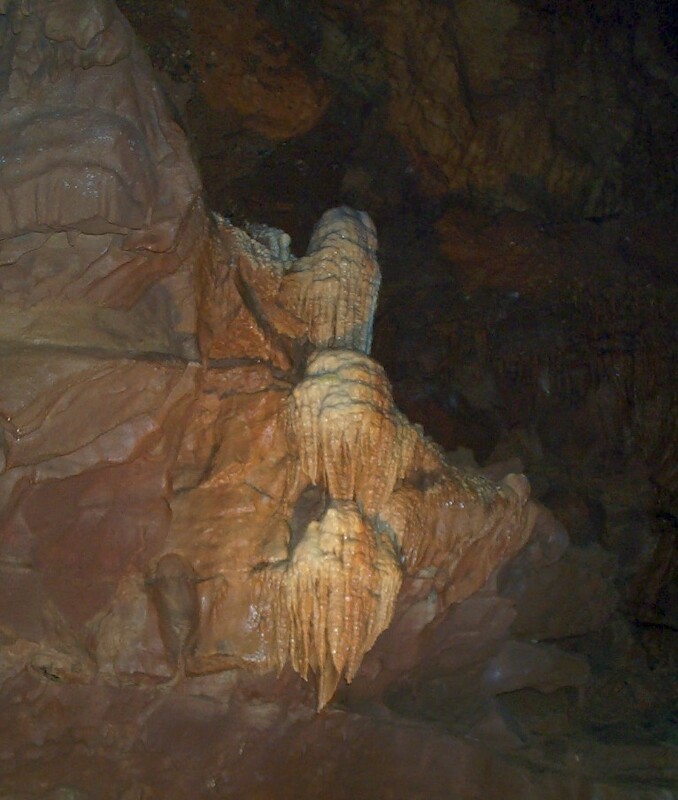 This formation is called Cave Bacon. Any idea why?